On February 18, seven LeBow BRIDGE students had the opportunity to network with seven Drexel alumni at COOK in Rittenhouse. The event included a three-course lunch from well-known Philadelphia chef, Peter Woolsey of La Peg and Bistrot La Minette. 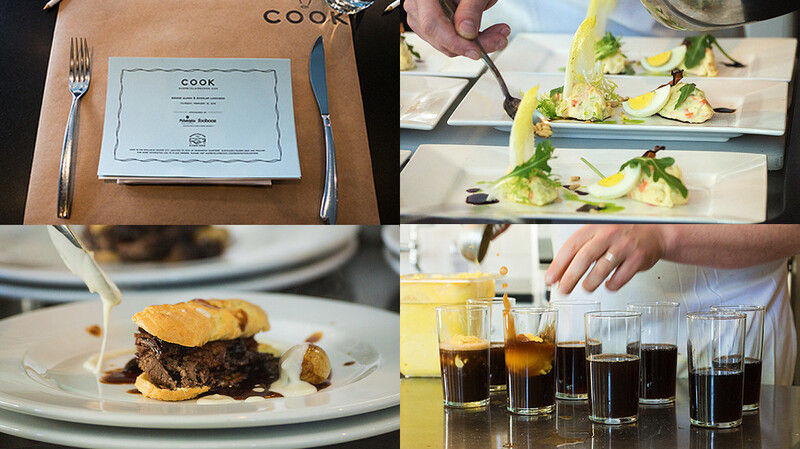 COOK offers an open kitchen that allows guests to have front row seat to the culinary action. 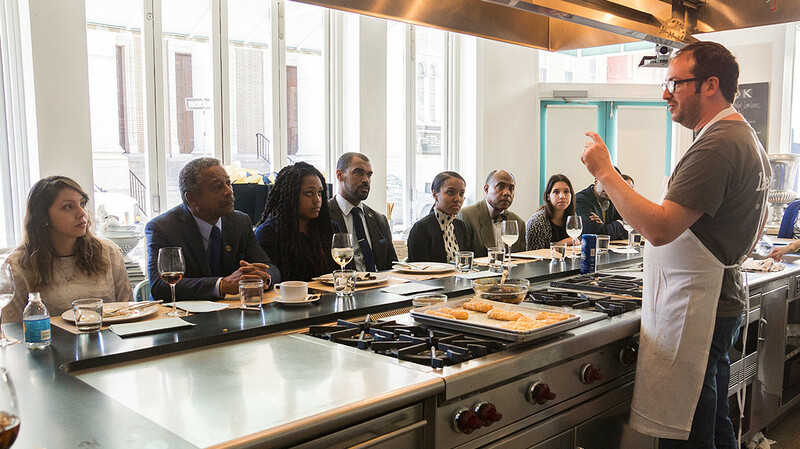 While Chef Woolsey prepared a Pennsylvania-inspired meal with modern Amish potato salad and gourmet cheese steaks, students had the opportunity to meet alumni, some who had been a part of the BRIDGE program during their time at Drexel, and get advice on moving from college into the business world. Randolph Holmes, a strong supporter of the BRIDGE program, shared his personal experiences and stories over lunch to connect with the students. The meal ended with a dessert root beer float and some impromptu business advice from Chef Woolsey. “My time at COOK gave me the opportunity to connect with Drexel alumni and learn more about their careers, particularly how Drexel’s co-op programs have helped them in their profession today,” says sophomore Sofia Bastida. LeBow BRIDGE is a business learning community created in 2012 to support underrepresented students through their academic journey at Drexel. This event is just one of many networking events and programs the BRIDGE program plans for its students each year.